With his ethos of embracing new talent and technology, Lyu Huanbin has helped turn a provincial broadcaster into one of China's top producers of hit shows, Xu Fan reports. 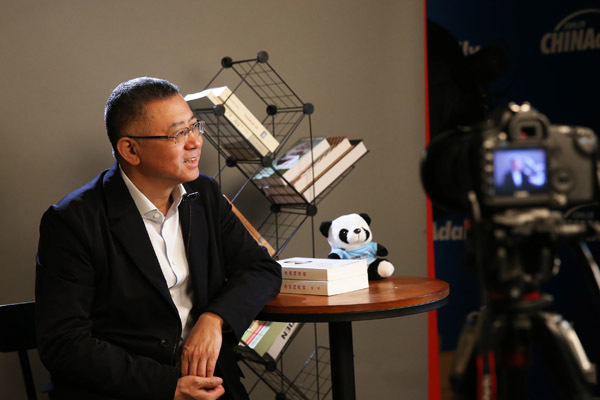 When Lyu Huanbin graduated from Hunan Normal University in the late 1980s, he turned down the college's offer to stay on as a teacher but instead took up a job as a journalist with Hunan Television. "I wanted more people to see my work. A teacher's words are only heard by a few dozen students, but a television program can reach an audience of hundreds of thousands," says Lyu, the director of Hunan Broadcasting System, one of China's most popular provincial broadcasters. As a native of Changsha, the capital of Hunan province, Lyu started his television career as a reporter on Focus 89, a popular investigative news program produced by Hunan TV. It was considered a pioneer in its field and ushered in a new wave of current affairs shows. After spending the next three decades building up his reputation in Hunan's television circles, Lyu took up the role as head of Hunan Broadcasting System in December 2012. Thanks to a number of hit shows, from the enduring variety, show Happy Camp to the recent hit drama The Story of Minglan, the group based in Central China's Hunan province has seen its flagship Hunan TV channel top the ratings of provincial satellite channels for over a decade. Attending the recent two sessions in Beijing as a member of the 13th Chinese People's Political Consultative Conference National Committee, Lyu said the key to creating hit shows relied on innovation. "If a broadcaster cannot produce fresh content, audiences will soon get bored, even if their ongoing programs are good enough. We should never stop the pursuit of innovation," says Lyu. In their search for new inspiration, Hunan TV launched their ambitious Biao Project in July 2017, to call for fresh ideas for TV shows from people under the age of 30. Less than two years on, a dozen popular shows have emerged from the fruits of this labor, exemplified by The Sound, a contest to select top voice-over performers, and Super Vocal, a show consisting of stage performances and reality TV showcasing emerging operatic talent. The majority of directors and producers behind these stand-out shows were born in the 1990s, and many of them had worked two to three years before they were able to work on their programs independently, says Lyu. Recalling one example highlighting the creativity of the younger generation, Lyu says he was impressed by a moment during the selection procedure to decide whether the Super Vocal series should be given the go-ahead when the program's directors unexpectedly asked four guest singers in their 20s to stand up and sing a piece in the bel canto style. The technique, a singing style which originated in 18th-century Italy and concentrates on vocal display and purity of tone, was a favorite of greats like Placido Domingo and Luciano Pavarotti. "It intrigued the decision-makers. The singers were young, good-looking, well-mannered and looked quite different from people who perform pop songs. It was a very effective way to convince us that the audience would also enjoy the program," explains Lyu. Aside from this encouraging project, Lyu says another rule of thumb is to respect every person who contributes an idea. "Everyone should be treated equally in the process of artistic creation," he adds. Unlike his predecessors who undoubtedly regarded other provincial TV stations as their major rivals, Lyu is facing a more powerful game-changer－the internet. Inspired by President Xi Jinping's speeches about media convergence in 2013 and 2014, Hunan Broadcasting System reshaped its video-streaming platform Mango TV in April 2014 to be the focus of its output, airing the majority of its top-rated TV dramas exclusively online. Since then, Mango TV has witnessed rapid expansion, climbing the ratings to become the country's fourth-largest streaming site after Tencent Video, iQiyi and Youku. To date, the number of daily active users on Mango TV averages around 50 million, but peaked at a record 68 million viewers－a figure that Lyu says surpasses over 90 percent of rival apps. 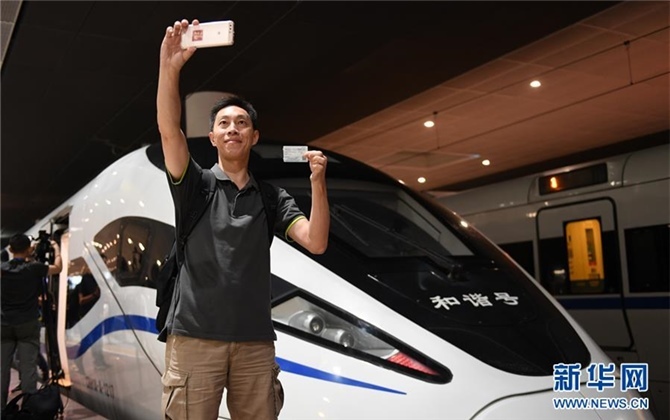 "We began to make a profit in 2017 and earned more than 700 million yuan ($104 million) last year. We expect to generate more than 900 million yuan this year," says Lyu. Users subscribing to Mango TV's global platform, which was launched in March 2018, have reached nearly 15 million viewers across 240 countries and regions, according to Lyu. He says "going global" has become an integral part of his media group's strategy moving forward. "We have a lot of international partners, including YouTube. The revenue we make from selling our shows and dramas to overseas markets is remarkable," he adds. Although already deemed as a leader in the TV industry by some domestic media outlets, Lyu maintains he is still "a student of media". "The industry is changing too fast. All the techniques we once mastered to produce programs are now outdated. We have to study new techniques and ways of thinking all the time," he says.